A magnificent pair of bronze chenet / andirons in the early 18th century Baroque style. 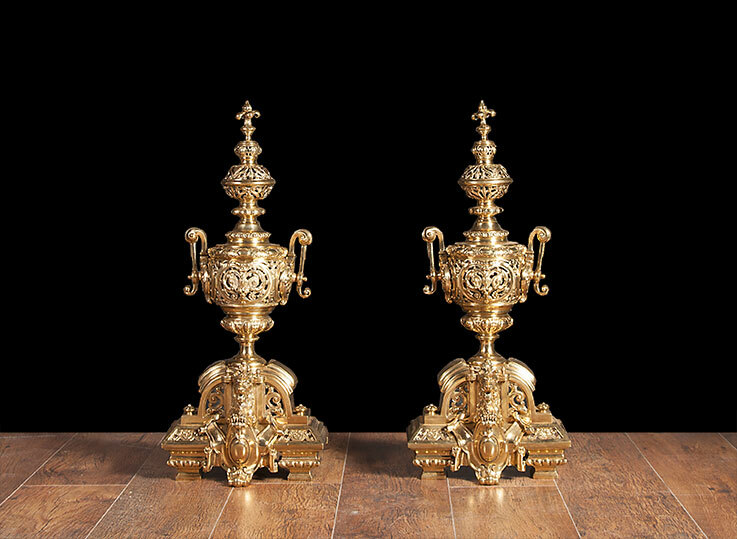 A magnificent pair of polished bronze chenet / andirons in the early 18th century Baroque style. 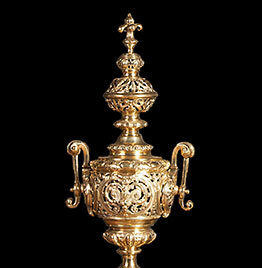 The Ornate castings and filigree work is of the highest standard.